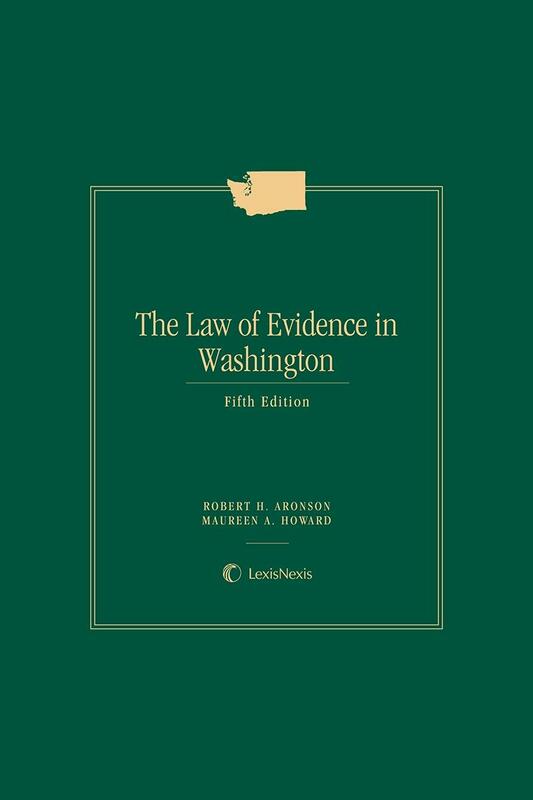 The Law of Evidence of Washington, Fifth Edition, is a complete guide and a practical courtroom reference delivering everything a trial lawyer needs to know about the Washington Evidence Rules. 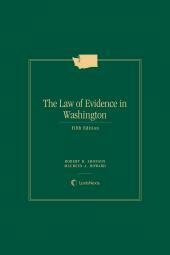 Whether you are a judge or a trial lawyer, The Law of Evidence in Washington, in a new Fifth Edition in 2013, is both a complete evidence guide and a practical courtroom reference delivering all you need to know about the Washington Evidence Rules. The Fifth Edition has been completed reorganized, updated, and edited, with a new topical organization for ease of finding evidentiary subjects. The Author's Comments are insightful and practical, yet concise, and include recent and seminal cases to keep you fully briefed on evidence questions without the need to wade through unnecessary material.  This convenient desktop reference contains the full text of the Washington Rules of Evidence, the full text of the Advisory Committee Notes to the Federal Rules of Evidence when adopted (most relevant to the Washington rules), and discussion of comparable practice under the Federal Rules when relevant. 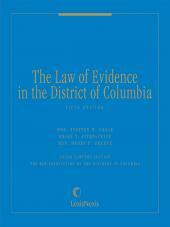 This Fifth Edition of The Law of Evidence in Washington has been updated and reorganized into a topical structure to include new case law, rule changes, and legislation, and to clarify existing law and principles. This reader-friendly resource not only provides you authoritative analysis of the applicable law, but also guides you quickly and efficiently to the information you need to build a winning case. You'll always find the most accurate text and latest court decisions conveniently located with the discussion related to that subject. In addition to the primary source materials and relevant background discussion and author commentary, the publication includes an updated Index, Table of Cases, and Table of Statutes and Rules. Robert H. Aronson is an emeritus professor at the University of Washington School of Law, specializing in the areas of Evidence and Professional Responsibility. Professor Aronson graduated from the University of Pennsylvania School of Law in 1973, clerked for the Honorable James Carter, U.S. Court of Appeals for the Ninth Circuit, and taught for a year at Stanford Law School, before joining the University of Washington School of Law faculty in 1975. He has served as Chair of the Association of American Law Schools (AALS) Section on Professional Responsibility; on the National Conference of Bar Examiners Drafting Committee for the Multistate Professional Responsibility Examination (MPRE); on the Washington Legislative Ethics Board; on the AALS Committee on Bar Admission and Lawyer Performance; and as Reporter for the American Academy of Matrimonial Lawyers Standards of Conduct. He was a Commissioner on Uniform State Laws for 15 years. He was a member of the drafting committees for the Association of Trial Lawyers of America (ATLA) Code of Conduct, the Uniform Rules of Evidence, and Uniform Rule on Child Testimony. Professor Aronson is the author of The Law of Evidence in Washington (5th ed. Matthew Bender 2013) and a co-author of The Law of Lawyering in Washington (WSBA 2012), along with numerous other books, chapters, and articles on Evidence and Professional Responsibility. Maureen A. Howard was named Director of the University of Washington Trial Advocacy Program as an Assistant Professor of Law in 2005, and was appointed an Adjunct Assistant Professor of the Hong Kong University Law Faculty in 2008. Professor Howard was named the Director of the National Institute of Trial Advocacy's Northwest Regional Trial Skills program in 2008. She joined the UW law school as an adjunct professor in 1997 and became Interim Director of the Trial Advocacy Program in 2002. Professor Howard began her career as a civil litigator in Seattle with the law firm of Stoel Rives LLP, where she concentrated her practice in commercial and employment law. After twelve years, she moved to the King County Prosecutor's Office where she tried criminal felony cases. She later became a judge pro tempore for King County, presiding over both civil and criminal trials, until joining the faculty full-time. Professor Howard has taught trial advocacy for over 15 years: in addition to teaching at the UW School of Law, she has taught trial skills at Emory University and Loyola University law schools. She has also taught at the National Institute of Trial Advocacy (NITA) programs at Stanford University, University of San Francisco, William Mitchell College of Law, Seattle University, and in San Diego, as well as at the NITA national program at University of Colorado. Professor Howard serves on the Washington Pattern Jury Instruction Committee and the Executive Committee for the William L. Dwyer Inn of Court. In addition to her formal teaching, Professor Howard writes and speaks nationally on the art of trial advocacy and has appeared on several television programs as a legal commentator. Professor Howard is admitted to practice in Washington and California, and before the Supreme Court of the United States. 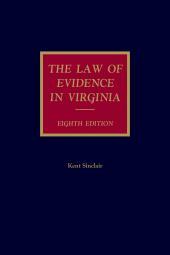 Professor Howard is co-author, with Professor Aronson, of The Law of Evidence in Washington (5th ed. Matthew Bender 2013) and, with James H. Seckinger, of State v. O'Neill (6th ed. NITA 2012).